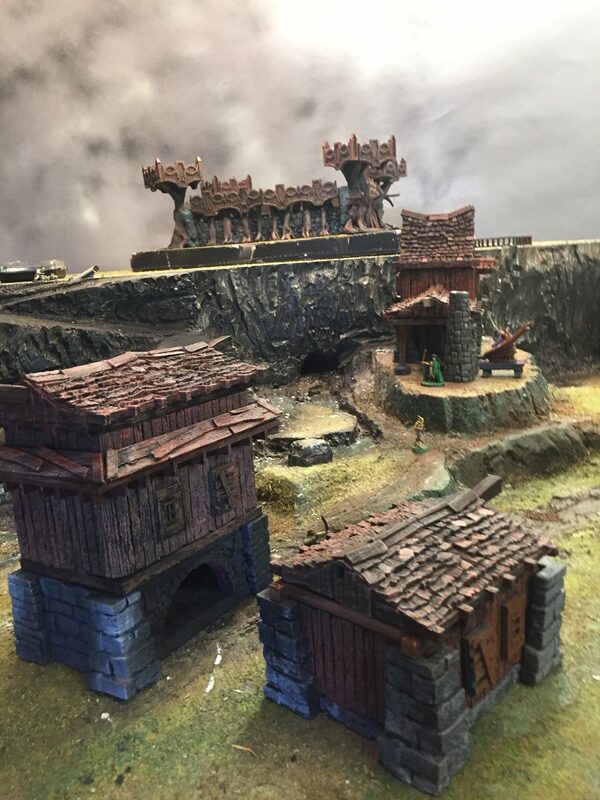 Our Elf Terrain for 3D Printing Kickstarter launched on April 30th and has funded after an hour, though our goal was not particularly high. We are well on our way to opening some stretch goals and I intend to fill those out with some more elf stuff. The main contents will include the Elf Outpost and Open Peg based stackable buildings that will be Openlock friendly. I should mention that stacking on openLOCK bases will require you to cut off the tabs on the top of your walls. But if you’re anything like me, you already have a bunch of tiles that pre-date the wall tabs and you have another stack of tiles with tabs that broke off on their own. We finished filming for an OpenPeg video overview and an intro campaign film on Sunday. I think it went great, it’s in the editors hands now. Also here is a new imgur album with a ton of what I am calling “SlumScrapers.” It’s what I imagine Landfall would be full of from the old D&D mystara setting. Anyways enjoy! About 75 OpenLOCK tiles, some of which will be used to make towers and a keep when I complete the second kickstarter phase, which includes the huge walls and towers that I have been previewing. A new patch for “Stronghold on the Borderlands.” It will include the openpeg plates and several items like….. medium and small tower housing have been converted to support free, one piece printing. It will be posted for download on the 29th on that kickstarter pages Update area. Great work and looking forward to this project! Thanks for the kind words James! I waited a bit longer so I can get a ton of diagrams done for the launch, it’s going to be a lot to take in, especially when most folks give about 60 seconds to hear the idea. Honestly, it’s even a lot for me and I designed the damn thing. thanks a bunch for the Twitter plug! Looking to grab day one as well. Super excited for the walls when they are ready as well. Hey Brandon thanks for the support and for stopping in to say hi! I’m hoping the walls won’t be much of a wait. There’s giant plastic tub filled with finished designs. I just kind of totally made more stuff than what one person can really process in terms of QC and promotion.